How do you insert images into a custom Thank You form? The custom Thank You form asks for a URL to insert an image. How do you find or set up that? Hello, in order to insert the image, you need to host it to somewhere online first. There are other Photo hosting sites that you can use for free such as Photobucket.com or Imageshack.com. 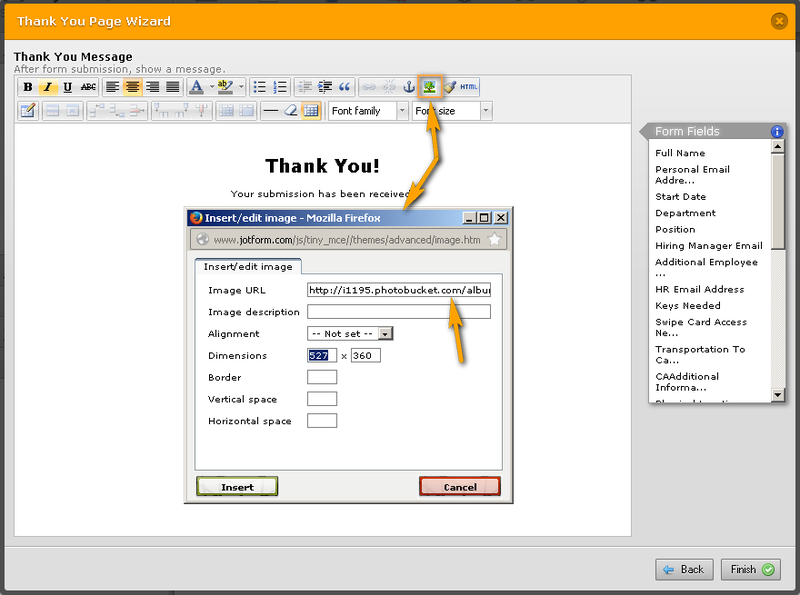 Please create an account on either one of them and host your images there to retrieve the image URL that you can paste in the Thank you form image tool.